With over 175 years of combined experience our team has the appropriate domain & technical expertise, combined with a superb understanding of the market dynamics. Robert Adams has successfully performed as leader, manager, and decision maker in numerous U.S. Government organizations, including the Department of Defense and Department of State, as well as executive positions in several U.S. private sector companies. He is also a U.S. Navy veteran. In his senior roles, Adams has developed and executed engagement strategies across very complex institutions and communities within highly disparate environments, including domestic, international, and foreign companies; as well as working with foreign ministries and parliamentarians of coalition partner nations. He has managed large budgets and developed and carried out strategies to identify and apply emerging technologies to difficult problems. Ed Rabano served in senior positions of leadership, advisory and mentorship to organizations with national and global operations that implement U.S. strategic policy and foreign national development. He has worked with organizations in the functions of management, operations, finance, manufacturing, promotion, training, logistics, and product development. 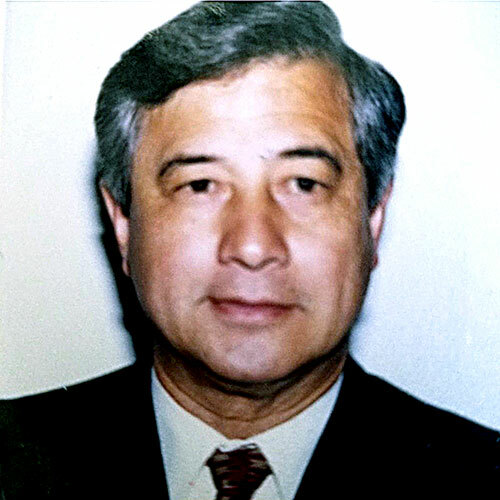 A focus on national reconstruction serving local, regional, and international interests allowed him to work on behalf of the U.S. government with countries and/or regions of the Middle East, Central Asia, Southern American hemisphere and the Balkan countries. He has also worked with programs associated with World Bank, International Monetary Fund, European Bank of Reconstruction, the United States Departments of Defense, State, Commerce, Treasury, and Agency for International Development. Paul Crowley is a computer professional with over 35 years of experience. He was involved in software development of all types, on computers ranging from the largest IBM mainframes to home game consoles. Mr. Crowley has authored commercial mainframe software products as well as consumer software games including the ColecoVision version of the games Gyruss, James Bond, Up N’ Down and the Atari 2600 game Super Cobra. 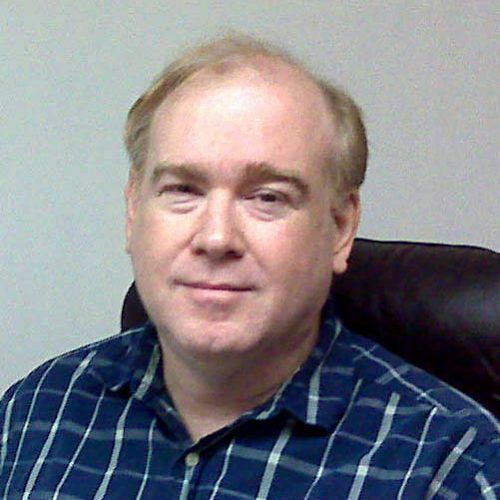 He founded the software company named InfinaDyne in 1996, in 1997 releasing the first CD data recovery product available and followed up in 2000 with the first product specifically addressing the needs of forensic examiners at the FBI and other Federal agencies worldwide when examining datafiles. Vince Corning played a key role in taking Picazo Communications from concept, growing the company through three acquisitions, and selling the company to Intel Corporation within three years for $110 million. After the acquisition, Corning was promoted to the role of Director of Strategic Marketing where he represented his business unit in the co-management of a $250 million-dollar Intel Capital investment fund. He brings over 25 years of experience building teams and driving innovative products and services to market. Paul Kaman has more than 25 years of professional experience, including leadership positions with PWC LLP, IBM, Computer Sciences Corporation, and Ernst & Young. In addition to several positions within the U.S., he has led projects for government and commercial entities globally including recently in South Sudan, Saudi Arabia, Bahrain and UAE. Kaman specializes in identifying Western technologies that are transformative to the region and building partnerships to apply them in innovative ways. 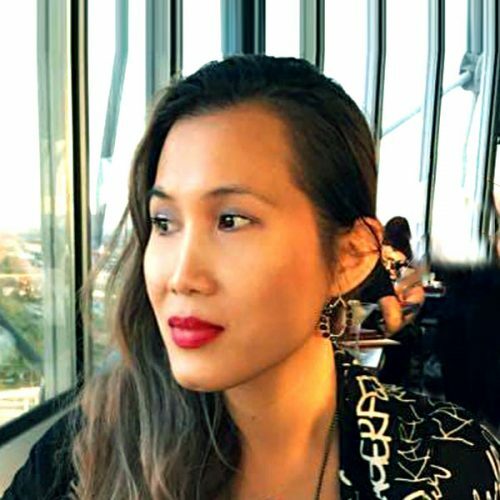 Annie Leong brings with her extensive commercial software development experience and management skills, including work for a healthcare business and data automation company. She leads efforts to develop MEMS software solutions for more operational efficient UID processes and SQL database, helping reduce the cost of doing business to allow managers to focus on delivering a more efficient database and UI software. She is responsible for the development of management software products within the U.I.D.™ contracting domain. In addition to inventing and owning the underlying IP, the collective team has the perfect blend of character, ability, bio metrics knowledge and global security experience needed to manage Global e∙dentity™, the Company. Joe Rice invented vein pattern recognition, built the first vein biometric readers, and wrote the blueprint for the development of the U.I.D.™ biometric module. Rice successfully managed the start-up www.brite-sparks.com to profitability and was one of the winners of the Economist’s “Factory of The Year Award 1993” for Kodak’s Annesley plant in Nottinghamshire, U.K. and was also recognized as Kodak’s most innovative employee following more than 20 inventions and innovations submitted to the Kodak Limited product opportunities panel. 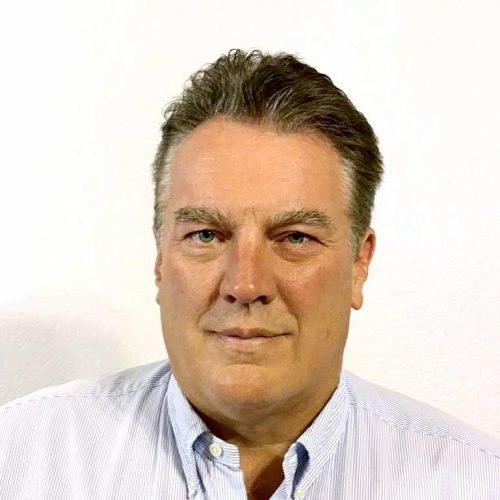 William Shawn Yeager brings to Global e∙dentity™ his substantial experience in strategic management, development, and application of new technologies for start-up companies. Most recently, he served as CEO of PRIMA Cinema, Inc. As a VP of Business Development at Matchmine LLC, he also co-founded and served as CEO and VP of Development of Auditude Inc. Mr. Yeager co-invented Auditude’s signal processing and pattern recognition technology for media identification. Auditude later sold to Adobe and Yahoo for more than $120 million. Besides his expertise in legal matters regarding bringing new technology to market, he understands marketing, funding, and management for new companies breaking into competitive arenas. Hal Pittman is a retired U.S. Navy one-star admiral and corporate and non-profit executive who has served as leader and spokesman in a variety of senior roles. He brings his extensive experience in senior management and strategic communications to Global e∙dentity.™ Rear Admiral(retired) Pittman is currently the Director of External Communications for an Arizona Public Service Company. While in uniform, he served as a Deputy Assistant Secretary of Defense and also led communications for some of the military’s most complex operations and served as an advisor to senior civilians, military officials, and ambassadors and maintains extensive connections with U.S. Government security organizations. Dr. Schnitzer provides expert medical and management advice to Global e∙dentity. ™ He is an experienced Physician Advisor and Medical Director who has served as Chief Medical Officer for a telemedicine company. With more than 15 years of practice in neurosurgery, he is a Fellow of the American College of Surgeons and the American Association of Neurological Surgeons, as well as a member of the American College of Hospital Executives. His experience in managing medical organizations and medical expertise is especially significant to future applications of U.I.D. ™ technology to monitoring health and providing information to medical care providers. Louis Buck is an experienced entrepreneur who brings a wealth of experience and strategic relationships to Global e∙dentity. ™ From agribusiness development and international marketing to subject matter expert support of regional commands in Afghanistan, he sees the big picture and tackles the severe problems. Mr. Buck has served as Chief Strategic Officer of several rapidly growing businesses seeking to transition from “start-up to grown-up” companies utilizing his experiences, relationships and expertise. He also served as a presidentially appointed State Executive Director of a Farm Service Agency. His knowledge in promoting entrepreneurial efforts and understanding of U.S. Government operations brings a significant advantage to Global e∙dentity ™ in capturing digital identification markets in the U.S. and around the world. 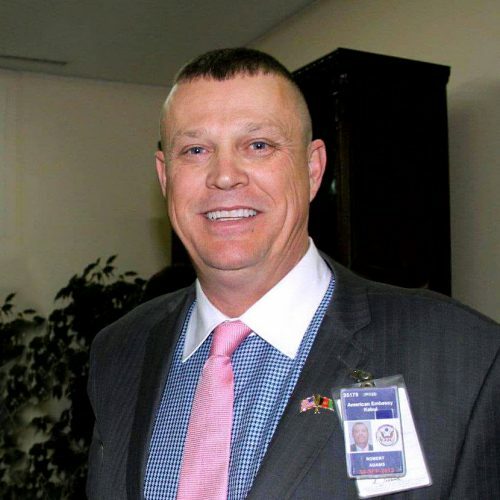 John W. Wiggins is a retired U.S. Marine Colonel. Global e∙dentity ™benefits from his expertise in managing teams, strategic logistics planning, and management of logistics systems as well as his dynamic “can do” attitude. His military assignments included plan’s officer, battalion commander, and commander of a Marine Forward Logistics Group. He also served as the Senior Advisor to the Afghan Deputy Minister of Interior for Logistics and the Afghan National Police. His experience in providing logistics in challenging environments while working with a wide range of international partners is especially valuable to Global e∙dentity™ efforts outside of the U.S.
Sigmund Hoenigsberg contributes vast expertise in telecommunications and strategic investments to Global e∙dentity. ™ He is a partner at MCLA, Dubai who has advised or managed investments totaling $5 billion at all stages of the management and acquisitions cycle over the past 15 years. His previous positions include senior executive for telecom investments in Dubai Holding, principal at Affinitiv (now Arthur D Little), private equity advisor (Czipin/MTH), and strategy consultant (Booz Allen Hamilton). He brings particular experience in bringing new commercial products to market. John Szabo contributes his extensive knowledge of international business development to Global e∙dentity™. A leading expert in marketing communications, he is presently the CCO for RPMA Networks—the world’s largest IOT network operator. Mr. Szabo’s previous position include director for MEC Telematik, Zain Group Bahrain, Nokia Iraq, and Zain Project-Iraq with other senior executive positions that include NEC Europe, and Business Development Manager for Kingston Technologies in Central Eastern Europe. He also brings expertise in promoting successful entrepreneurship efforts in multiple countries and with numerous partners. 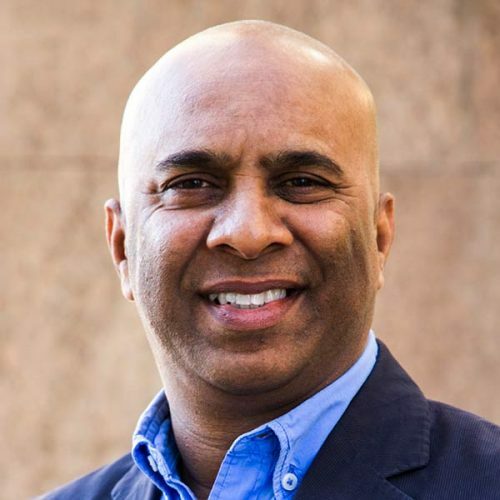 Jaihoon Vali gives Global e∙dentity™ the benefit of his experience as a senior executive and expertise in storage, marketing, and distribution of commodities, — especially across austere areas. Mr. Vali is currently the President and CEO of Genesis Universal Trading Ltd., one of the largest importers of Frozen Meat/Chicken Protein in Asia and the Middle East. His extensive experience as a C-level executive include companies that manufacture and distribute auto parts and ship of a wide variety of commodities across Asia and the Middle East. He brings unmatched expertise in entrepreneurship within emerging markets and working with a wide range of international partners.